The purpose of this standard is to define the minimum procedures for the dechlorination of chlorinated or chloraminated water being discharged, including regulations, discharge site preparation, sampling and testing of discharge water, various methods of dechlorination, and dechlorination chemicals. 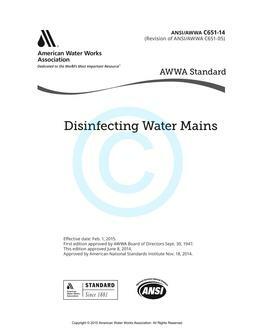 This standard can be referenced in specifications for the dechlorination of low-chlorinated or highly chlorinated water discharges into the environment. The stipulations of this standard apply when this document has been referenced, and then only to dechlorination.